Utilizing a strong commercial grade fiberglass panel to support the turf of your choice over our pedestal systems. Ideally used for raised floor applications such as roof decks. Deck Turf is the ideal compliment to our wood decking or porcelain pavers on raised pedestal decks. Need an area of turf for entertaining, kids play or pet area? Deck Turf will install quickly, remain lightweight and well drained and gve you the soft turf area of your dreams over any roof or balcony surface. Utilizing 1" deep X 3/4 square fiberglass mesh, the fiberglass panels are laid on pedestals and connected with our hidden fasteners. The result is a platform that can accept the turf of your choice. Once the turf is backfilled with sand, you will have an impressive area of Deck Turf to compliment your roof deck space. 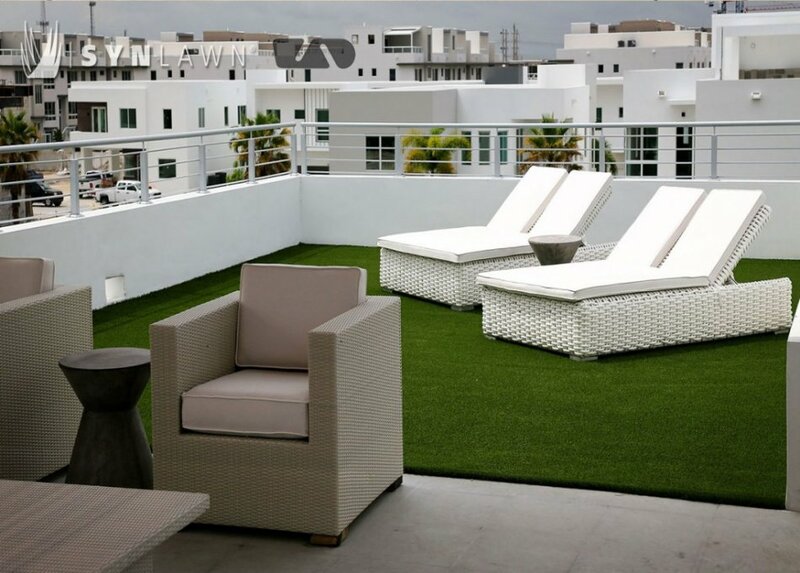 Roof top decks, patios, or balconies where an area of turf is desired. Purchase an used Deck Turf Raised pedestals decking for only $300.00*.